The Newest Rant: This Game Sequel Is Nothing Like The Original, And That's Just Fine--Prey 2. 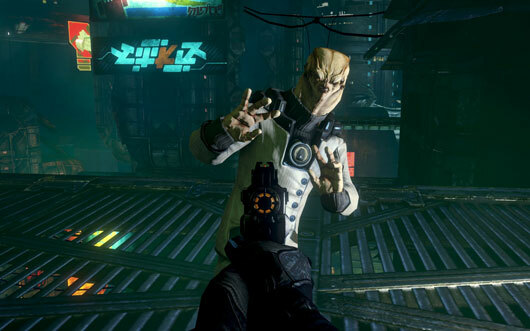 This Game Sequel Is Nothing Like The Original, And That's Just Fine--Prey 2. Remember the game, "Prey"? It was announced in 1995 or so, was delayed forever, and finally came out in 2006? Yeah, that game. Well, as you may recall it was all claustrophobic and had the gimmick of portals that could alter gravity and where you were located for all kinds of fun game-play results. It got okay reviews and I never got around to playing it. 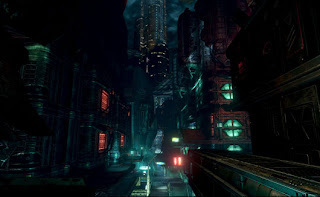 Hence, I could have cared less when I first hear about Prey 2, until I saw details about how this game took place in a big alien city, was a sci-fi noir game, and otherwise was nothing like the original Prey other than some plot elements. A noir-type game in a big city with space-aliens, moral choices, a complex plot, and crazy space-laser gun-play? Yeah, that sounds like my kind of game after all. I might just give this Prey 2 a shot in the hopes that it turns out good. Until then I think I'll get my Noir fix from the upcoming L.A. Noire game coming out this May. I really should put down a pre-order for that but keep delaying as life has a way of slowing you down.